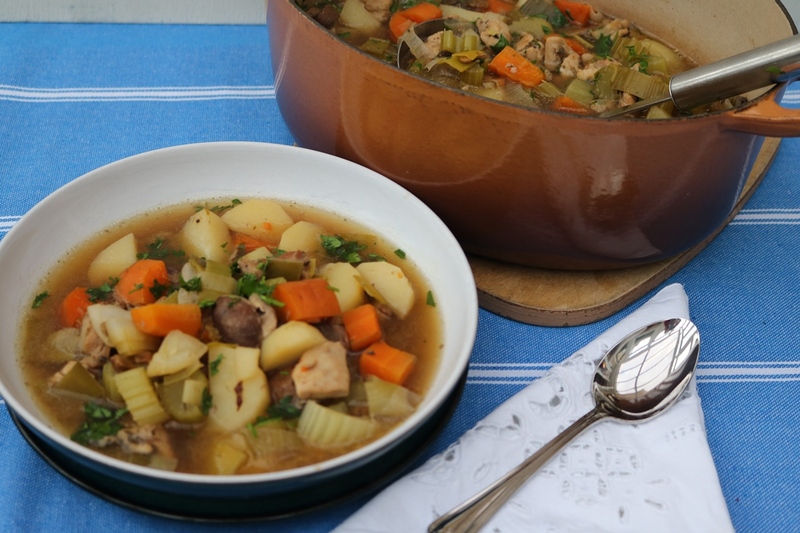 Stews are ideal comfort food when the weather turns cold and dark outside and when you don’t want to spend an age in the kitchen but you do want something warm and tasty that will fill you up. Use chicken instead of turkey if you prefer and add a tin of drained and washed beans if you want to stretch the stew further. 2 Place the turkey, onion, carrots, celery, leek, chestnut mushrooms, sweetcorn, potatoes and gluten free flour in a casserole dish or slow cooker and toss to coat the ingredients with the flour. 3 Strain the porcini mushrooms, saving the soaking liquid but avoiding the last few dregs which tend to be a little gritty. Make the soaking liquid up to 275ml (10fl oz) with water and add to the casserole with the porcini cut into small pieces. 4 Add the herbs and stock to the casserole and mix to combine, then cover the casserole and cook in the centre of the oven for about 2 hours or slow cook 6-8 hours. 5 Season to taste if needed and serve garnished with parsley.